Starting tonight and continuing on Thursday, Will Levandowski, a local climber, will attempt to transform a lowly stretch of Flagstaff sandstone into an arena of world-class proportions. Jenn Fields, a writer for the local paper, has a great article that explains everything. 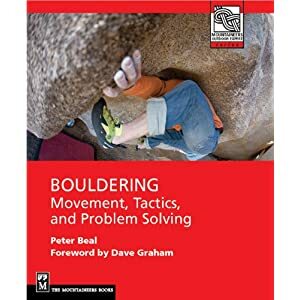 I first encountered Will a couple of years ago when I was doing a warm-up session below Beer Barrel Rock and noticed someone climbing the same problem again and again on the formations known as the Mugs. I thought it was curious and asked what his reason for repeating the same thing literally hundreds of times. He explained that an injury in his foot from running limited his ability to either fall or negotiate a tricky descent so he found this one spot that allowed him to climb continuously for hours. As an aficionado myself of logging vertical mileage at Flag, I can easily understand his motivations. However I freely admit that I would not want to try to log 25,000 feet on the same 10 foot problem. That takes a different mindset altogether. If you want to cheer Will on and even act as witness to his Guinness World Record attempt, you can find him starting at 5 pm tonight, a couple of tiers below Beer Barrel Rock. He will climb until 11 pm, take a break until 5 am and continue Thursday until 5 pm. When measured in terms of square inches, a good fingerboard is certainly the most effective strength building tool out there. A good commercial board, such as the one made by Moon Climbing, allows you to stress your arms and fingers in the most concentrated ways available outside of actual bouldering. If you are not using a commercial board, making your own edges from wood is a good idea, including a 20 mm (3/4 inch) and a 6 or 7 mm (1/4 inch) edge and perhaps a wider but sloping edge. It's a good idea to round the outer edge of the hold and sand the wood well so it is quite smooth. These edges can be attached to a plywood board and then mounted over a door. They can also be attached directly to framing timber where convenient such as with floor joists. When using a fingerboard, climbers can be more creative in figuring out ways to simulate the demands of climbing in a much more sport-specific fashion. Here are a few to consider. First, make sure that you are hanging in different grip positions, not just the ones you favor. On a fingerboard, I tend to default to openhand position, the one that feels most secure, especially for one-hand hangs. However, I have found that hanging in a crimp position is actually much more effective for actual rock climbing since so many longer lockoff-type moves require that hand position. You obviously have to be careful about overdoing it but if you are favoring a certain hand position, you may be under-utilizing the fingerboard considerably. Make sure that you practice all three standard positions: crimp, semi-crimp, and open-handed. Second, make sure that you are using a wide variety of holds including small edges, wider flat edges, slopers and pockets and that you are using the different hand positions on these where appropriate. You should get to the point where, for any hold and grip position, 5 seconds hangtime (the average time a climber uses a hold in a problem) with both hands is feasible. For a single edge, you can simulate pockets by gripping with only two or three fingers and not using the thumb. It's best to avoid crimping in a pocket configuration however. Use open-hand grip and avoid any unexpected shock-loading. You may want to build or add pinch holds as well. Most finger boards don't include good ones but they can be bought as climbing holds and added in to a homemade set. Third, make sure you are testing your grip strength in both extended and contracted arm positions. You may find yourself much weaker on certain holds in a fully contracted position than in a semi-extended one. Fourth, introduce dynamic elements into your hangs. One of the more effective ones is shifting your grip from open-hand to crimp position. Starting with both hands in the open-hand position, move one hand to a crimp position and then the other. This is a much needed skill when making a lock-off move from a hold that was grabbed at full extension with an open-hand grip. Another option is switching back and forth between hands, taking one hand off for a second or two,going back to hanging on both hands, pulling up a bit then taking off the other hand, and repeating to failure. This is a bit like campusing. Fifth, focus periodically on developing your one-hand hanging strength. This can involve trying to hang for only a second or two and working on increasing this time to 5 seconds or higher, maybe up to 8 or 10 seconds max. Constantly try out different grips for weaknesses and you will find your ability to deal effectively with all kinds of holds and moves considerably improved.